Greece is one of the major tourist destination countries in Europe because of its magnificent sunny beaches, the blue waters of the Aegean, and its rich history. Not only that, but Greece has around six thousand islands and over two hundred of them are inhabited. 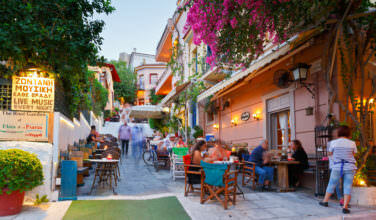 When most of us think of the Greek islands, we picture the most popular ones such as Santorini, Crete, and Mykonos. While these are certainly excellent choices, there are others that are less popular but are still great destinations. Here are five alternatives to the typical Greek islands. Though Symi is small, it certainly doesn’t lack opportunities for tourists. 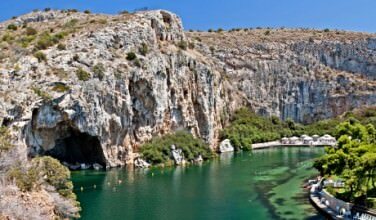 Located near the coast of Turkey, it is part of the Dodecanese island chain along with other popular islands such as Rhodes. Symi is mountainous and also contains many pristine beaches. The island can only be reached by boat. The harbor town, Symi, which bears the same name as the island itself, is a must-see because of its views, impressive fortress, nightlife, and colorful homes. Paxoi is a small island, which is part of the Ionian island chain. You can only arrive here by taking a ferry. The easiest route is from Corfu but there is a ferry from the other Ionian islands, which makes stops here. This island features an impressive landscape of pristine beaches on the east coast and a rocky landscape, complete with caves, on the west. Both Paxoi and Antipaxoi are known for their wine. 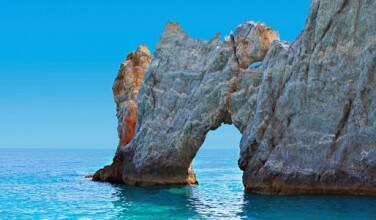 Legend states that Paxoi was created when Poseidon struck his trident on Corfu. This tiny island has two main claims to fame. 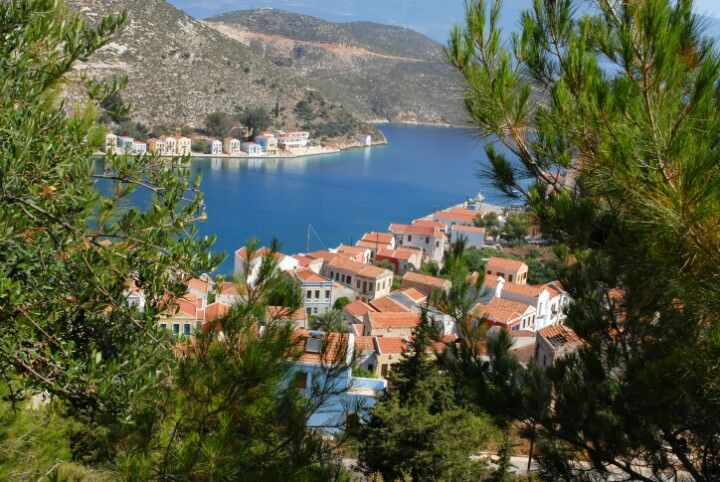 The first is that it is Greece’s easternmost island, which means that it is not far off the coast of Turkey. The second is that much of it is still in ruins as the result of World War II. If you want beaches, this isn’t the island for you. Rather, it has many reminders of Greece’s complicated history, including an Ottoman mosque. Patmos has some of the most impressive beaches in Greece. It is also the site of the monastery where Saint John wrote the Book of Revelations. Since it lacks an airport, it can be reached by cruise ship or ferry. The most direct ferry route comes from the island of Kos, which can be reached, by plane. While here, be sure to take in the beautiful landscape, enjoy the nightlife and restaurants, and if possible, visit the monastery where John did his writing. This island is a shining example of what Greece was like a century ago. The traditional life in Greece is alive and well here. Villagers spend their time tending the land, sharing meals together, dancing their traditional dances, and enjoying life. Ikaria also has some nice beaches. If you want to experience the traditional side of Greece, this island is your best bet. Greece has many islands that make great tourist destinations. These islands may be off the beaten path, but they encompass the true side of Greece.